Here is our guide to the best Istanbul Coffee shops for enjoying the time whilst also be able to get some work done or for a relaxing comfortable place to get away from the city stress . Tea or coffe is situated in the heart of Cihangir. Living up to its name, serves a vast range of teas and infusions, along side many varieties of coffee – from lush whipped cream espresso (espresso con panna) and the modern matcha latte to the classic traditional Turkish coffee with sweet mastic (damla sakızlı kahve). Everything comes with dried fruit, in case you are a little hungry. For a fast, healthy snack or to refresh from a long night , choose one of the energy vitamin packed smoothies. Open Mon-Fri 8am-10pm, Sat-Sun 10am-10pm. Oba Sokak No. 17A, Cihangir; T: 0535 411 08 07. Set along the peaceful streets of Balat you can find plenty of old Turkish coffee spots along with a few new trendy cafes, we think that the place to go is Coffee Department. A great place to get on with your work or to read a book .You can’t beat the calm atmosphere and the perfect coffee with their flourless brownies. Kürkçüçesmesi Sokak No. 5, Balat. Kurtuluş is a neighborhood of hidden secrets Marika fits right in place here. 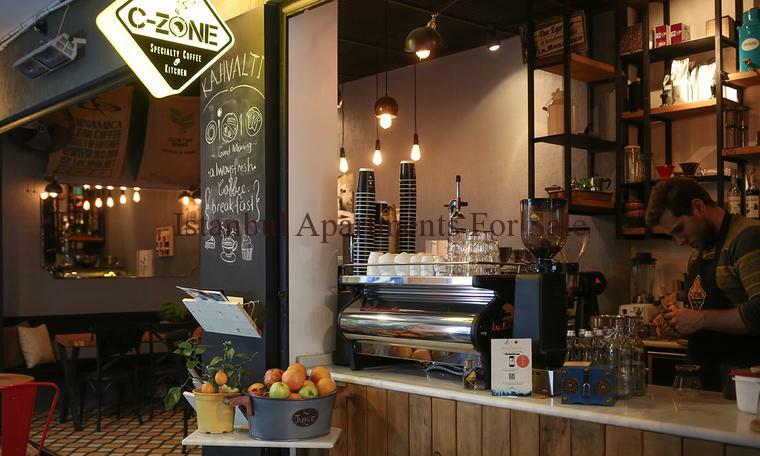 Situated on a nondescript street you will find this atrractive café crowded with people, laptops, books, and coffee mugs. It has the flair of a place run by people who really love their coffee. Avocado and eggs or cheese with pesto toasts are served as well as varieties of vegan desserts. Seymen Sokak No. 34, Kurtuluş.